The Matson Line's Lurline was built by Bethlehem Steel Corp., at its Quincy, Massachusetts shipyard. Launched in July 1932, she began her maiden voyage, a round-the-world cruise, on 27 January 1933. 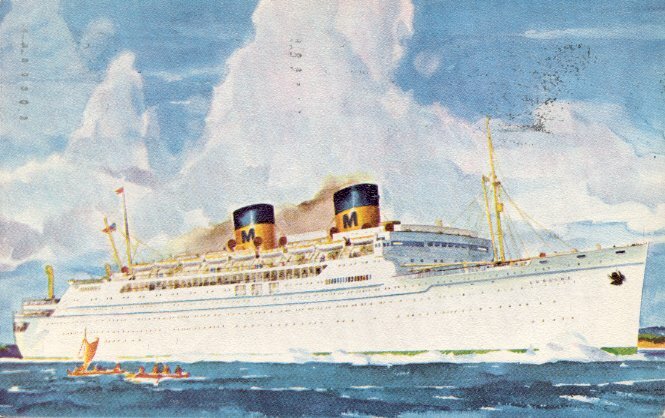 After returning from that trip, she entered Matson's regular San Francisco-Honolulu service. 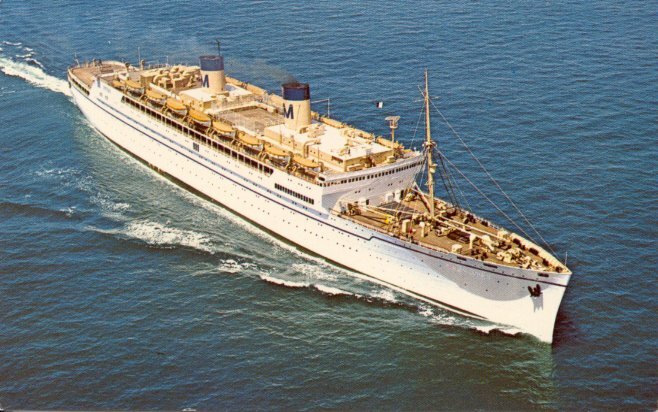 Lurline was taken over by the U.S. War Shipping Administration and operated as a troopship during World War II. In 1946 she was returned to Matson, and, after a refitting and overhaul, she re-entered Matson's service in April 1948. She remained in Matson service until 1963, when she was sold to the Chandris Lines, refitted as an emigrant carrier and renamed Ellinis. 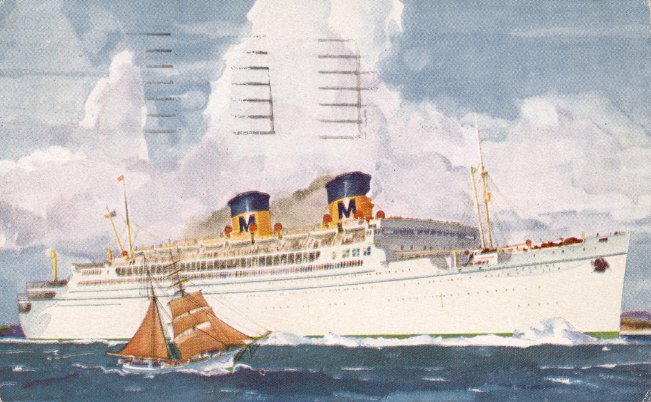 On 30 December, she began service on Chandris' Piraeus-Sydney route; she also served on a Rotterdam-Sydney-Rotterdam service for Chandris. Laid up at Pireaus from 1980 to 1987, Ellinis was sold to Liberian-flag interests in 1986, but never returned to service. She was scrapped in Taiwan in 1987. Sources: Kludas' Great Passenger Ships of the World; Miller's Pictorial Encyclopedia of Ocean Liners, 1860-1994.